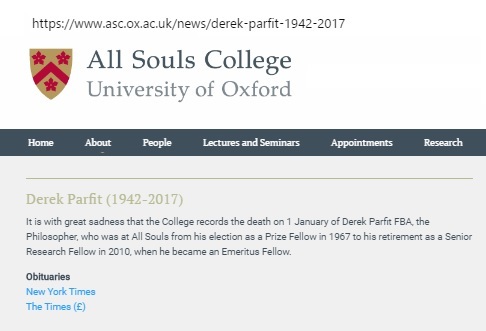 with All Souls College, Oxford, reflect some confusion. 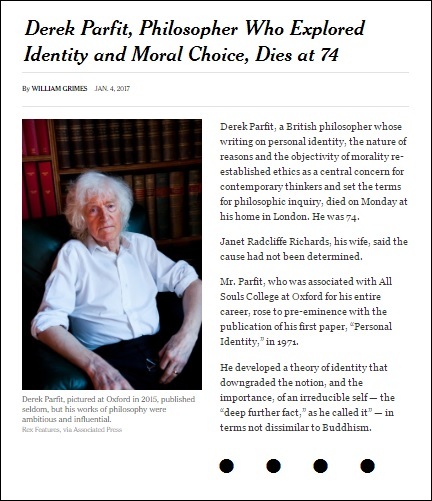 The New York Times says the death was on Monday, January 2, 2017. Sunday, January 1 (New Year's Day), 2017. 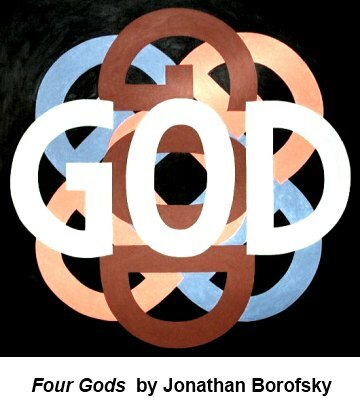 See "Four Gods" in this journal. of the divine madness, ascribing them to four gods . . . ."
See as well a search for All Souls in this journal. 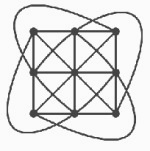 A finite affine plane of order n has n^2 points. plane by adding a line at infinity that contains n + 1 points. (n^3 + n^2 + n – n^2 – n – 1) = (n^3 – 1) . 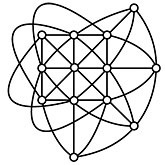 in an order-3 projective plane as described in Part I above. or any other form of matter. Being or Mind or Spirit. "Plato's most significant passage may be found in Phaedrus 265b: 'And we made four divisions of the divine madness, ascribing them to four gods, saying that prophecy was inspired by Apollo, the mystic madness by Dionysos, the poetic by the Muses, and the madness of love […] by Aphrodite and Eros' (trans. by H.N. Fowler, in the Loeb Classical Library)." — Saverio Marchignoli, note on section 20, paragraphs 115-119, of the Discourse on the Dignity of Man (Oratio de hominis dignitate) (1486) by Pico della Mirandola, considered the "Manifesto of the Renaissance." Diamond Struck by the Sun.